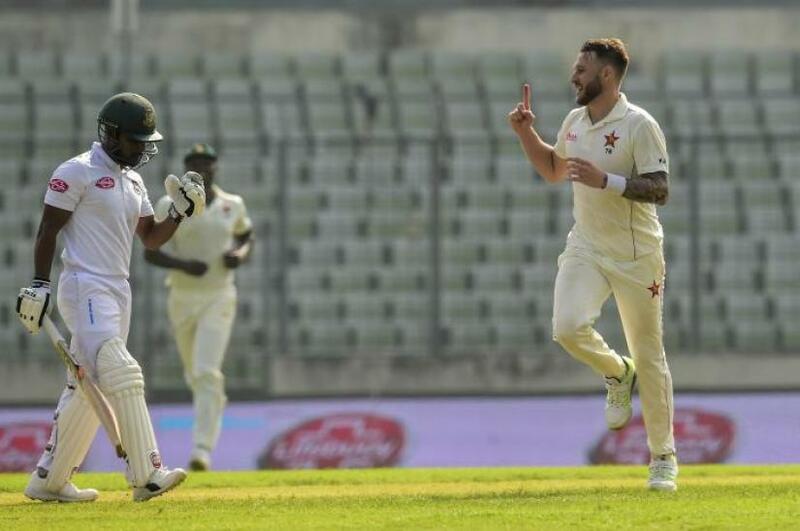 Bangladesh gathered 56 runs on the board losing three top order batsman in 26 overs at lunch during day one of their second and final test match against Zimbabwe at Mirpur Sher-e-Bangla National Cricket Stadium in Dhaka on Sunday (Nov 11). Earlier, Bangladesh skipper Mahmudullah Riyad won the toss and decided to bat first. Mohammad Mithun and Khaled Ahmed are debuting in the match with Mustafizur Rahman brought back into the squad to reinforce the bowling attack. Nazmul Hossain Shanto, Nazmul Islam and Abu Jayed have been dropped from the playing eleven to make way for the trio.